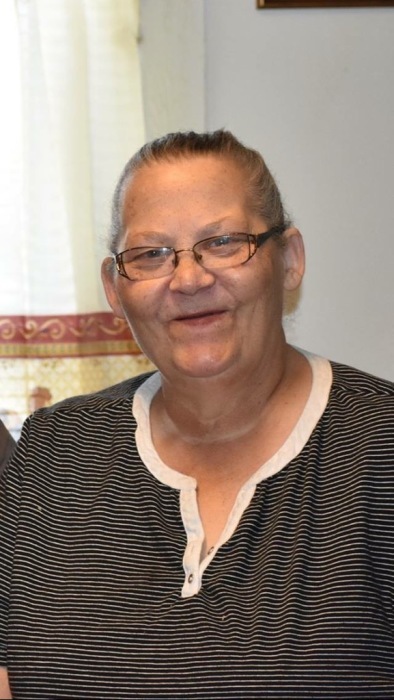 Teresa Troublefield McPherson, age 62 of Laurel Hill passed away Thursday, October 18, 2018. Funeral services will be at 3:00 p.m. on Tuesday, October 23, 2018, 2018 at Richard Boles Funeral Service Chapel, officiated by Rev. Matthew Haynes and Sister Sarah Grooms. Burial will follow in Hillside Memorial Park. Teresa was born June 8, 1956 in Scotland County, a daughter of the late Hector Troublefield and Ancedale Haywood Troublefield. She was the loving wife of the late Jimmy Rogers McPherson, Sr. She worked for many years with Nic’s Pic Kwick Convenient Stores. She loved attending Huckabee Grove Emanuel Holiness Church and listening to gospel music. Teresa also enjoyed cleaning, riding around with family and friends, and watching the Hallmark Channel. Her greatest joy was sharing her time with family, especially her grandchildren. Along with her parents and husband, she is preceded in death by her sisters, Susie Galligan, Sarah Frances Reynolds, Minnie Elizabeth McPherson, Marie T. Snipes, Mary Martha Troublefield and Alene Troublefield. She leaves behind her son, Jimmy R. McPherson, Jr. of Laurel Hill and daughter, Karen McPherson Locklear (Jimmy) of Wagram; brother, Roman Troublefield of Laurel Hill; sister, Kathy T. Ray (Carlton) of Laurel Hill and brother-in-law, Richard Reynolds of Laurinburg; her grandchildren, Courtney McPherson (Jody Hunt), Brenton “Walker” Taylor (Emily Spangler), Brad McPherson, Brittany Locklear, Jimmy Locklear, III, Christi Locklear; great grandchildren, Rosanna Taylor, Brenton Taylor and Nanna’s sweetheart, Kendall Rayne Hunt; her special friend, Rose Langley and a host of loving nieces, nephews and many friends. The family will receive friends from 6:00 until 8:00 p.m. on Monday, October 22, 2018 at Richard Boles Funeral Service.